The cost was hefty, with the U.S. losing 116,000 troops in a war that claimed some 9 million lives. Yet it also marked the coming of age of the American military, which transformed itself overnight from a small army engaged in regional battles into a major powerhouse — a role it maintains to this day. Still, World War I has been overshadowed by other American wars. It tends to be glossed over in schools, and this centennial has been muted compared to a pair of recent milestones: the 75th anniversary of the 1941 Pearl Harbor attack that launched the U.S. into World War II, and the 150th anniversary of the Civil War, which lasted from 1861 to 1865. "The Civil War and the Second World War get a lot more attention from Americans," said Christopher Capozzola, who teaches history at MIT and has written extensively about World War I. "But I think if you step back, especially a century later, and look at the First World War, it touched nearly every aspect of American life, public and private, and every community in the country, in ways that are a little less visible but maybe just as important." Prior to World War I, the U.S. fought a few limited skirmishes abroad, in places such as Mexico, Cuba and the Philippines. The U.S. had neither the inclination nor the military might to wage a major war in Europe, and the Americans initially sat on the sidelines under the banner of "armed neutrality." President Woodrow Wilson won re-election in 1916 with the slogan "He kept us out of war." But when German submarines launched a new round of attacks on civilian vessels in early 1917, including American ships, the American mood changed. With a sense of resignation, Wilson called for war — and Congress backed him. "Armed neutrality, it now appears, is impracticable," Wilson told Congress. But as historian Libby O&apos;Connell noted, the American military was less than awe-inspiring. "We had a tiny military. 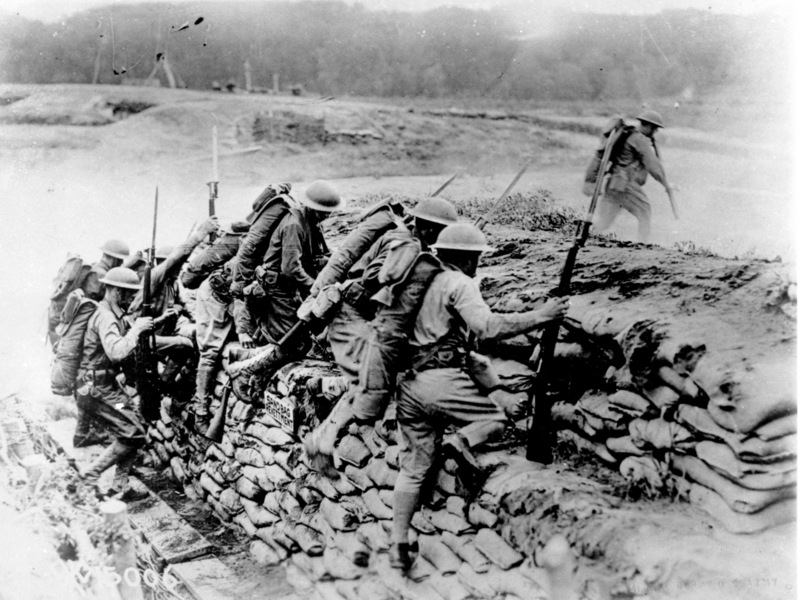 We had just a 130,000 troops before we declared war," said O&apos;Connell, a commissioner on the U.S. World War I Centennial Commission, set up by Congress to mark the anniversary. The military needed to ramp up in a hurry, prompting a draft on an unprecedented scale. "This machinery moves very quickly and does register 24 million men within the space of a year-and-a-half. Four million of those end up in uniform," said Capozzola. Let&apos;s pause to review the math: 130,000 troops when the U.S. entered the war; 4 million by the end. This means that for every American in the military in the spring of 1917, there were more than 30 by the fall of 1918 — an astounding rate of expansion. Gen. John Pershing "was essentially tasked with the full responsibility for mobilizing, recruiting, training, deploying and commanding the American forces," said Bart Hacker, who&apos;s curating an exhibit on Pershing at the Smithsonian&apos;s Museum of American History. "It was an extraordinary accomplishment." The fresh American troops made a huge difference, arriving at a time when the European armies were exhausted. Pershing was no fan of the trench warfare that had resulted in deadlock, and pushed for "open warfare" and much greater mobility. Pershing resisted placing American troops under the command of more experienced British and French officers, and his aggressive tactics led to heavy casualties. The 116,000 Americans who were killed almost matched the size of entire U.S. military when it entered the conflict. But the American forces played a crucial role in breaking the Germans. And under Pershing, the military also modernized and became more professional, according to many historians. The government&apos;s military draft that created this force included large numbers of young men from the same community who registered together — and often fought side by side. "Football teams would sign up together. Graduating classes would sign up together. It means that when there&apos;s a large swathe of death on the battlefront, a neighborhood loses their boys," said O&apos;Connell. After the war, local communities paid tribute with memorials across the land. 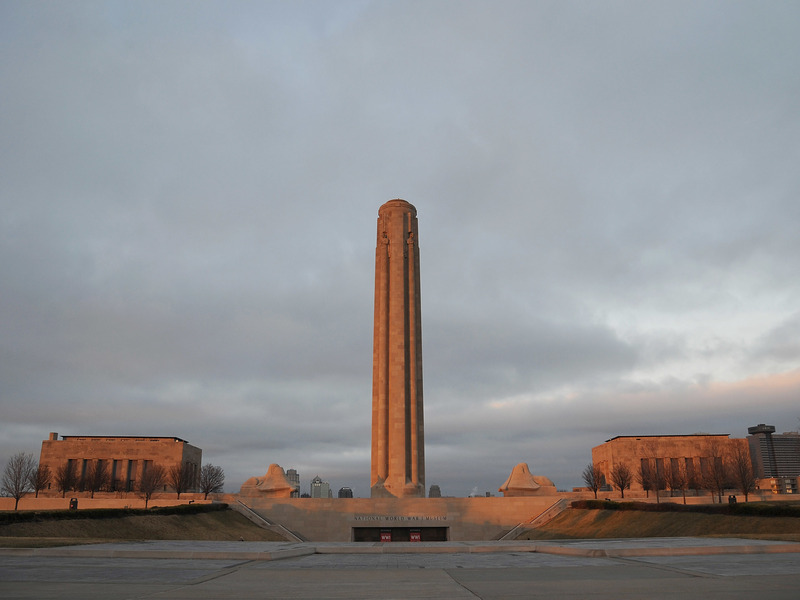 But it wasn&apos;t until 2004 that Congress designated the official National World War I Museum, in Kansas City, Mo., where ceremonies are set for Thursday, the centennial. "Americans should take another look at the first World War and imagine it with all the noise and the color and conflict that it included," he said. "It has been handed down to us in black-and-white silent film. And I think we&apos;ve thereby erased a lot of the intense humanity of the war."